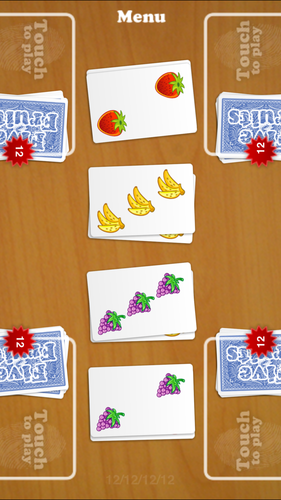 Five Fruits: Multiplayer Battle is a fun and addictive game played with 4 friends on one device. This ‘one-device’ multi player card game is all about reaction time. Challenge your friends and show who’s the fastest. The game is very popular as a board game across Europe and in the United States, where it is also known as Halli Galli and is similar to games like SET and UNO. Five Fruits is a co-production of me and Ruud Verheijden (Appera).